DETROIT -- Ford Motor has changed its North American production plans for autonomous and electric vehicles. The automaker on Wednesday said its Flat Rock Assembly Plant near Detroit eventually will become a second location for production of battery-electric vehicles, in addition to a plant in Cuautitlan, Mexico. It is scrapping plans for an autonomous vehicle center at the Flat Rock site and instead will build those vehicles at another location in southeast Michigan. The $900 million Ford had planned to spend on AV production in Flat Rock through 2023 will instead be largely dedicated to EVs and the next-generation Mustang, officials said. The plant, which is scheduled to lose its second production shift this spring, eventually will get the shift back, along with 900 new jobs. Ford did not say when the jobs, which it had previously announced, would be added. As part of the moves, Ford said production of the next-generation Transit Connect van for North America would shift to Mexico from Valencia, Spain. Ford had been expected to start North American production of the Transit Connect, with Flat Rock among the locations believed to be under consideration. 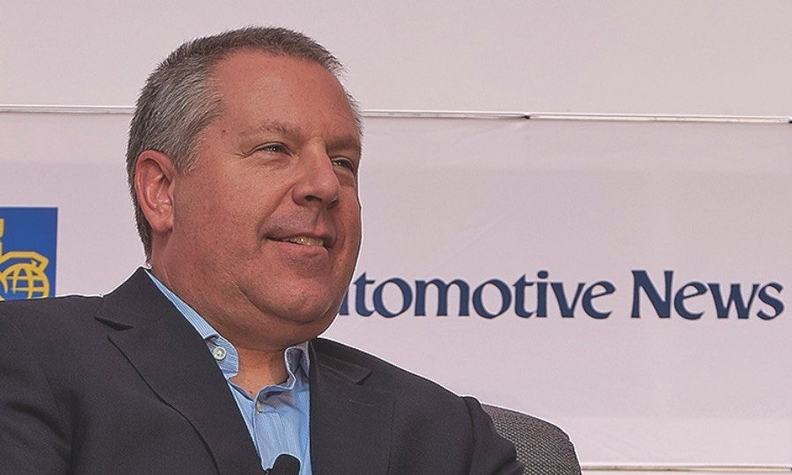 "It's a better plan for how we allocate capital in a more efficient way," Joe Hinrichs, Ford's president of global operations, told Automotive News. The automaker did not disclose a location, investment figure or jobs estimate for its autonomous vehicle center. In a statement, Ford said the site will upfit purpose-built, commercial-grade hybrid vehicles with self-driving technology and unique interiors. Production is slated to begin in 2021, with the vehicles being used commercially rather than sold to consumers. "As we ramp up AV production, this plan allows us to adjust our investment spending to accommodate the pace of growth of this exciting new technology," Hinrichs said. "This new plan combines our core strength in mass manufacturing with the agility and leanness we've shown with our modification centers for specialty manufacturing." Ford has shifted its EV and AV assembly plans several times since January 2017, when it canceled a $1.6 billion small-car plant under construction in Mexico shortly before President Donald Trump took office. At the time, Ford said it would make a big investment in Flat Rock to build autonomous vehicles and a long-range battery electric crossover. Later that year, it reversed the decision, saying it would focus on AVs in Flat Rock and move production of the battery-electric crossover to Mexico. The long-range battery electric crossover, which Ford says is inspired by the Mustang and due in 2020, will still be built in Mexico. Flat Rock will be dedicated to Ford's future EVs, which will sit on a new, dedicated battery-electric architecture. Ford's decision to build its next-generation Transit Connect in Mexico, after years of importing it from Spain and Turkey before that, allows the company to source more parts for the van from North American locations to meet requirements for the pending USMCA trade agreement. Ford is involved in a court battle with the government over allegations that it was unfairly skirting the so-called chicken tax -- a 25 percent tariff the U.S. has levied on light-truck imports since 1964 -- by bringing over Transit Connects that were built as passenger vehicles and then converting them to cargo vans stateside. The third-generation Transit Connect, which analysts expect to go on sale in 2021, will be made in Hermosillo, Mexico, where production of the Fusion and Lincoln MKZ is slated to end at an undisclosed time. "It wasn't so much about avoiding tariffs," Hinrichs said, "it was about improving the business."